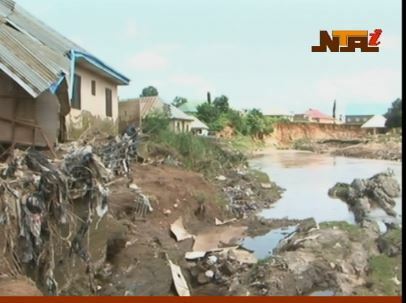 Communities residing around Karu new layout in Nasarawa state, are living in fear, as flood claimed six lives in the area recently. Governor Tanko Al-Makura on a sympathy visit to the community directed the relocation of residents to avert similar disaster. People living in the flood prone area witness recently flooding that destroyed more than thirty five (35) houses and claimed six lives and with some bodies still missing. One of the victim, Vincent Daniel said that they had to hide in the ceiling to wait for the level of the water to go down before the they were able to come down. He added that Woman, her Father and three children were still missing. The governor said that the government will take adequate majors to ensure that this type of disaster is averted. He said that certain setbacks will be given and that if any house falls within the setbacks, that house may have to be relocated. 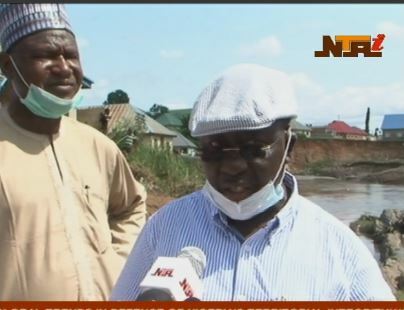 Governor Tanko Al-makura of Nasawara state at the flood site. 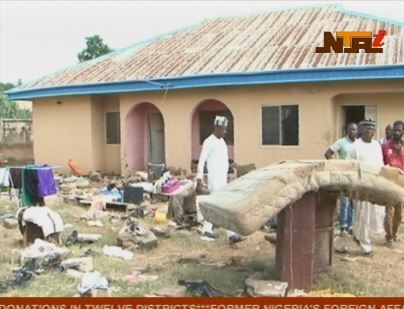 Governor Al-makura added that government will assist occupants of the houses destroyed. Government also directed the clearance of refuse to allow the free flow of water.